This project had all the best factors that allow an editorial design to be successful: a great open minded client that wanted something modern with lots design details, images and graphics, and enough time to allow creativity to flow. Since the publication doesn't have to much text we decided to big on images and highlight some of the texts. Leaving blank spaces allows the publication to breath and makes it more attractive to the reader. Check out the complete publication here. Since the beginning of the month of July I've been working with the team at the blog "Negocios Sostenibles" creating images for their blog posts. Even though it is not my first time helping one of the Inter-American Development Bank blogs, it's been a challenge creating different images for different topics each week. It's been fun a project and I'm learning a lot about sustainable business and innovations. Below are some of the images we created so far. Now go and check out their blogposts! They are awesome and if you are from any country in Latin America or the Caribbean you will find them especially interesting. From the same team at the World Bank that I worked on "Creative Community Spaces" we created their latest publication "Coding Bootcamps. Building Future-Proof Skills through Rapid Skills Training". The publication analyzes 6 different coding bootcamps located around the world. Do you want to see more? Download the complete publication here. Last July I finished working on the layout and design of one of the World Bank's latest publications "Creative Community Spaces. Spaces That Are Transforming Cities into Innovation Hubs". Together with the team we worked for months putting together this publication that presents 13 creative community spaces around the world. Are you working on a publication right now? Let me know if you need help with your project. In the meantime, check some of my past work at the Editorial section. A few months ago I had the pleasure to work with the team at Elephant Energy an NGO based in Denver, Colorado. Elephant Energy is a renewable energy pioneer that operates primarily in the African country of Namibia. We worked together designing their 2016 Annual Report. We decided to work only with the corporate colors and incorporate some photos of the projects they have been working on. The main goal for me was creating something fun and that transmits positivity when you look at it. I was really happy with the result. Thanks Elephant Energy for choosing me for this job! Now take a look to part of the work we did together. You can also read the complete report at Issuu. During the last few months of 2016 I collaborated with the Social Protection and Health division at the Inter-American Development Bank designing images for their blogs "First Steps" and "Gente Saludable". Know your theme to be sure you are showing an adequate image. If you are not sure about how appealing your photo is include some information in your image, like percentages or data (infographics are always a good tool). Finally, take risks. Your readers are going to be more attracted to your post if your image is appealing to them or controversial. Click on images to see original sources. Some recent cover design jobs we did for different sectors at the Inter-American Development Bank. 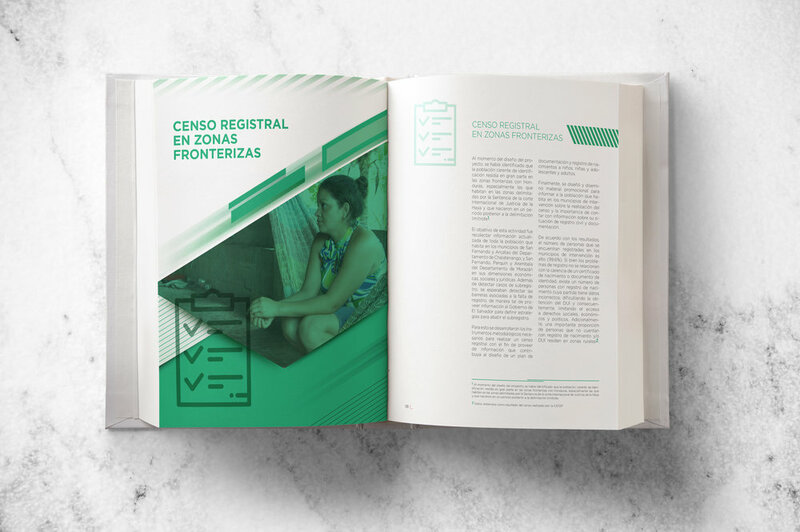 One of our most recent works at Souvenirme Studio was to developed this publication for FONTAGRO sector at the Inter-American Development Bank. The publication consisted in 40 pages and was published in English and Spanish. FONTAGRO is a unique regional cooperation mecha- nism to promote agricultural research and innova- tion among its members. It includes fifteen countries that have contributed a capital of some $100 million. FONTAGRO is sponsored by the Inter-American De- velopment Bank (IDB) and the Inter-American Institute for Cooperation on Agriculture (IICA), and it operates through a Technical Administrative Sec- retariat (TAS) based at IDB headquarters in Washington, D.C. The Pan American Health Organization/WHO based in Washington D.C., reached out to the Studio to design an infographic about "Alcohol and Injuries" in different countries of South and Central America. The infographic consisted on a template that we adapted for the following countries: Argentina, Guatemala, Guyana, Mexico, Nicaragua, Panama and Dominican Republic. In the different infographics the audience can see how important alcohol is as a factor in people having accidents. Below are a couple of images as an example.